CNC turret punch press because of the vibration frequency and motor speed to a certain percentage, first of all, we must check the motor is faulty, check the carbon brush and the commutator surface condition, and mechanical vibration of the situation, and to check ball bearing lubrication, throughout the examination, can not be disassembled rice, was observed by an inspector, the bearing can ears to listen to the voice of the meter to check. If there is no problem, it is to check the speed of the generator. The speed generator is generally DC. CNC turret punch press speed generator is a small permanent magnet DC generator, it's output power of the first speed, the output voltage is linear relationship. As long as a certain speed, its output voltage waveform should be a straight line, but due to the effects of cogging effect and commutator commutator, on the line attachment a tiny cross variables. To this end, the speed feedback circuit is added to the filter circuit, the filter circuit is to weaken the AC component attached to the voltage. The feedback signal of the numerical control punch is identical to that of a given signal. 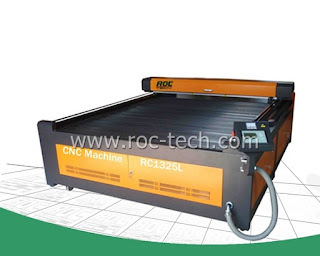 Therefore, there is a feedback signal fluctuations, inevitably lead to the speed regulator in the opposite direction, so as to cause the vibration of the punch press. When this happened, very easy to handle, as long as the motor cover removed, revealing a tachogenerator commutator. When do not have to do any demolition, as long as the sharp hook, carefully put each trough hook about, then with fine sandpaper light you remind of burr, the commutator surface and then anhydrous alcohol wipe, can be put on the carbon brush. Of particular interest here is with a sharp hook to hook commutator piece notch asked, don't hit the winding, because the very fine wire winding, once grazed it could not be repaired, only to re replacement of the winding. Again do not use water to rub alcohol, so that the insulation resistance can not be reduced by drying, this will delay the repair period. A closed-loop system may also be due to the parameter setting is very small, which leads to the system oscillation, but the best to eliminate the oscillation method is to reduce its magnification, adjust rv1 in FANLC system, counter clockwise rotation, then can see soon will be significantly changed for the better, but because the rv1 regulating potentiometer range is relatively small, sometimes tune, but meters, only to change short bar, also is to remove the feedback resistor value, reduce the regulator of magnification.